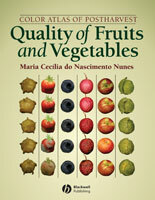 "This is a worthy addition to the set of APS disease compendia..."
Whether they are called peppers, chiles, paprika, or ajis, plants in the genus Capsicum, are among the most important spice and vegetable commodities worldwide because they are used in so many different types of food. Like other crops, peppers are afflicted with diseases, disorders, and pests that can reduce fruit quality and yield. 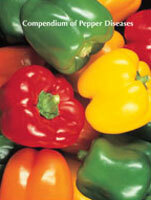 Compendium of Pepper Diseases provides a comprehensive presentation of the important pepper diseases of the world. With the help of 122 color photographs and thorough descriptions of pathogens, this valuable reference enables readers to easily identify diseases on the basis of symptoms and formulate field and laboratory diagnoses of diseases caused by bacteria, fungi, viruses, parasitic angiosperms, and nematodes. Readers will also learn about the geographical distribution and impact of each disease, control measures, and epidemiological aspects of diseases as well as gain knowledge on plant health problems associated with arthropods, nutritional deficiencies, herbicide injuries, and other abiotic causes. This compendium also includes sections discussing the botany of pepper, current production practices, and postharvest damage to pepper fruit. Edited and authored by 39 professionals with international expertise in pepper pathology in several unique production areas and in diverse areas of pathogen expertise, Compendium of Pepper Diseases will prove invaluable to growers, extension agents, county agents, crop production specialists, researchers, plant pathologists, horticulturists, agronomists, agribusiness professionals, educators, students and anyone interested in the diagnosis or management of diseases of pepper crops throughout the world. "Highly recommended. There is no other publication that is quite so broad in scope…"
"The book is documented by a rich selection of black-and-white and colour photographs which make the descriptions very clear. The good quality of paper, handy format and index make this publication all the more recommendable for plant pathologists, scientists, crop consultants, commercial growers and amateur horticulturists." "Written especially for plant pathologists, agricultural scientists and commercial horticulturists though also useful to amateur gardeners...."